Working from home is a phenomenon that is becoming more and more common in Danish homes. But it can be difficult to motivate themselves to work in the middle of cooking or lektielavningen at the dining table. 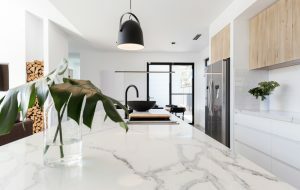 It is therefore important to think about how to best set up a beautiful and functional office where there is room for your work – in the middle of your home, which otherwise is a place with room for family, friends and leisure. There may be many preferences when it comes to interior design of your office. Should it be minimalist, filled with trinkets, very bright and open, or are you one of those people that work best on small and crowded places? There are many things to consider when setting up a home office. A home office must be like to be a space which invites you to work and creativity and at the same time an inspiring and inclusive. It should also be integrated into your home, so it does not fall entirely outside of style and expression and your other tastes. 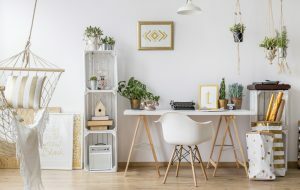 When setting up a home office, it is also important to think about the separation between your home and your home office. It may be important to have a clear division between the two, so they do not become tangled – it can indeed be stressful if your work is spread out on your coffee table, and you are suddenly faced with a feeling that your time has been invaded of your workplace. Conversely, it may be as difficult to work and concentrate if there are toys or laundry anywhere on your desktop and office suddenly becomes home to family fun or other non-work related things. 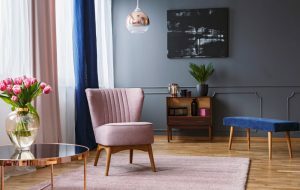 It is therefore important to reflect on the separation between work and leisure to suit just you – and how you can best transfer this to the decor of your office. Madogbolig.dk come here with 12 different opinions on how the decor of a home office can be functional and utilize space, personal, ambient, cozy and funky, inspiring and welcoming – get inspired by the fine gallery on the side here . Are you missing elsewhere classified inspiration you can read this interview with journalist Trine Meincke, who along with sister Sif Meincke committed book “Home office – creative design of jobs at home.” In the book shows how to be creative in his way to see his home and home office and find the right framework for a flexible home office. Read more in the interview with the two of madogbolig.dk here .